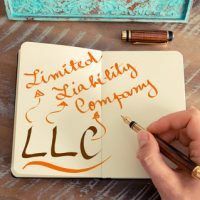 Florida doesn’t require that you have an Operating Agreement for your Limited Liability Company (LLC), but it is recommended that you have one. When setting up your company, it’s beneficial to seek legal advice from a Florida LLC Business litigation attorney. Business attorneys can not only assist with setting up your LLC, but they can also assist with ensuring your company is protected through drafting a comprehensive Operating Agreement. If you are unfamiliar with what an Operating Agreement is, it’s the document that sets forth the rules and structure of your LLC. There is no requirement to file the document with the state. A good Operating Agreement can regulate what the rights and duties are for each member and manager, how business decisions are to be made, how the LLC will handle withdrawal of a member, accounting methods, and more. What Happens if There is No Operating Agreement? Absent an Operating Agreement, the LLC will be bound by the rules set forth by the Florida LLC rules.. These are generic generic rules meant to apply to a wide variety of situations. Having a customized Operating Agreement is far better to to ensure that all your LLC’s needs are met. Having an Operating Agreement can help reduce member disputes and other issues that arise. For example, outline how decisions are to be made; everything from major decisions to daily operational tasks, which can potentially help reduce the number of conflicts that arise. One source of dispute is often linked to procedures involving members who want to sell or someone who needs out. Someone who wants or needs out can be a separate scenario — how would you handle business if a member unexpectedly dies or suffers major financial issues? Also, because LLCs offer more flexibility than some other business organizations, your Operating Agreement should have information on how profits are to be split between the members. Just because you and your partner each own 50 percent of the LLC, you don’t have to split profits equally. If you have questions on how LLC Operating Agreements work, or you are currently experiencing a dispute within your business, contact the skilled business litigation team at McCabe Rabin, P.A. in Florida to schedule a consultation.